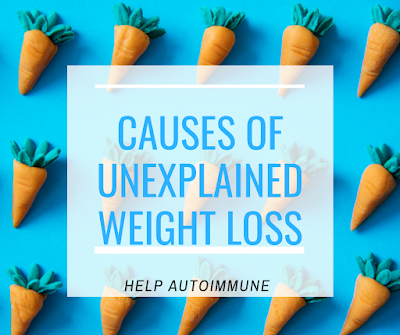 Unexplained weight loss, or losing weight without trying, can be a cause for concern. 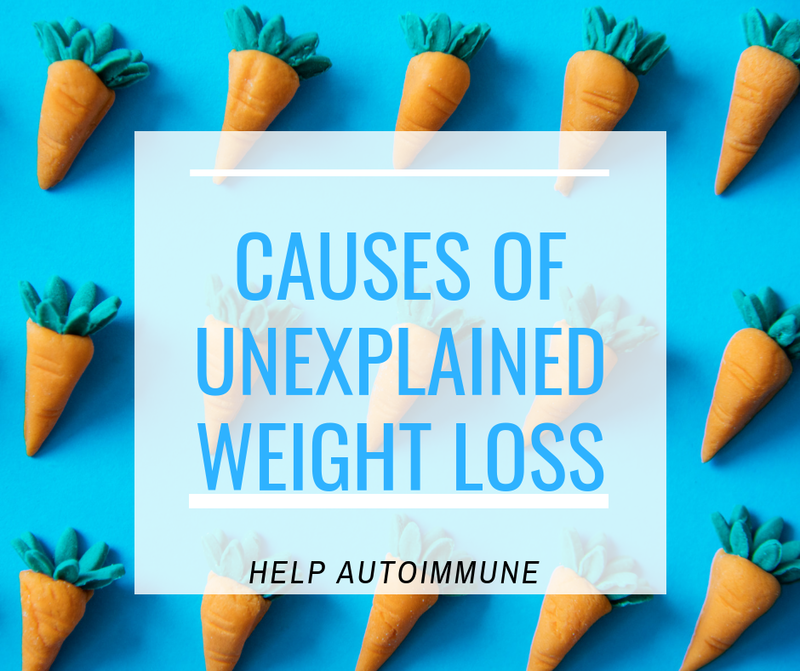 It might indicate an underlying condition. A good rule of thumb is to see your doctor if you’ve lost a significant amount — more than 5 percent of your weight — within 6 to 12 months. In addition, take note of any other symptoms to talk over with your doctor. Muscle loss, or muscle wasting, can lead to unexpected weight loss. The major symptom is muscle weakness. One of your limbs may even look smaller than the other. Your body is made of fat mass and fat-free mass, which includes muscle, bone, and water. If you lose muscle, you’ll lose weight. This can happen if you don’t use muscles for a while. It’s most common in people who don’t exercise, work desk jobs, or are bedridden. Generally, exercise and proper nutrition will reverse muscle loss. Hyperthyroidism, or overactive thyroid, develops when your thyroid gland makes too much thyroid hormone. These hormones control many functions in the body, including metabolism. If your thyroid is overactive, you’ll quickly burn calories even if you have a good appetite. The result can be unintentional weight loss. Treatment of hyperthyroidism depends on your age and severity of your case. Generally, it’s treated with anti-thyroid medications, radioactive iodine, beta-blockers, or surgery. Rheumatoid arthritis (RA) is an autoimmune disease that makes your immune system attack the lining of your joints, leading to inflammation. Chronic inflammation can speed up metabolism and reduce overall weight. Symptoms of RA include joint swelling and pain. It usually affects the same joints on both sides of your body. If you have RA, your joints might feel stiff if you don’t move for an hour or more. Another cause of unwanted weight loss is type 1 diabetes. If you have type 1 diabetes, your immune system attacks cells in your pancreas that make insulin. Without insulin, your body can’t use glucose for energy. This causes high blood glucose. Your kidneys remove unused glucose through urine. As sugar leaves your body, so do calories. Weight loss may be a side effect of depression, which is defined as feeling sad, lost, or empty for at least two weeks. These emotions interfere with daily activities, such as going to work or school. Depression affects the same parts of the brain that control appetite. This can lead to poor appetite, and eventually, weight loss. Behavioral therapy, psychotherapy, and antidepressants are used to treat depression. Unexpected weight loss may be a symptom of inflammatory bowel disease (IBD). IBD is a term that encompasses several chronic inflammatory disorders of the digestive tract. The two most common types are Crohn’s disease and ulcerative colitis. The chronic inflammation of IBD puts your body in a catabolic state, which means that it’s constantly using up energy. IBD also disrupts ghrelin, the hunger hormone, and leptin, the satiety hormone. This results in decreased appetite and weight loss. These symptoms are triggered by certain foods. If you have IBD, you might be hesitant to eat. Treatment of IBD usually consists of nutritional support, medication, and in some cases, surgery. Chronic obstructive pulmonary disease (COPD) is a progressive lung disease. This includes emphysema and chronic bronchitis. Many people with COPD have both. Emphysema slowly damages the air sacs in your lungs, making it hard to breathe. Chronic bronchitis causes inflammation of the airways that bring air to your lungs. This produces mucus, coughing, and breathing issues. The main cause of COPD is cigarette smoking. Long-term exposure to irritants such as air pollution and dust can also lead to COPD. Treatment includes medications, such as bronchodilators, and lung therapies, like oxygen therapy. Endocarditis causes inflammation of your heart’s inner lining, or endocardium. It develops when germs —usually bacteria — enter the bloodstream and collect in your heart. Most people with endocarditis have a fever. This may come along with a poor appetite. Elevated body temperature also increases metabolism and burns fat, causing weight loss. Another cause of unexplained weight loss is tuberculosis (TB), a contagious condition that usually affects the lungs. It’s caused by Mycobacterium tuberculosisbacteria. Weight loss and decreased appetite are major symptoms of TB, but the reasons aren’t fully understood. TB spreads through the air. You can catch TB without getting sick. If your immune system can fight it, the bacteria will become inactive. This is called latent TB. TB is typically treated with a course of antibiotics for six to nine months. Cancer is the general term for diseases that cause abnormal cells to quickly divide and spread. According to the American Cancer Society, one of the first signs may be unexplained weight loss of 10 pounds or more. This is common with cancers of the pancreas, lung, stomach, and esophagus. Cancer increases inflammation. This promotes muscle wasting and disrupts appetite-regulating hormones. A growing tumor may also increase your resting energy expenditure (REE), or how much energy your body burns at rest. Many conditions can cause these symptoms. Addison’s disease develops when the immune system attacks the adrenal glands. In turn, the adrenal glands can’t make enough hormones like cortisol and aldosterone. Cortisol regulates many functions, including metabolism and appetite. Low levels of cortisol may lead to poor appetite and weight loss. Addison’s disease is rare, affecting roughly 1 in 100,000 people in the United States. Treatment includes medications that’ll regulate your adrenal gland.